At first she feels liberated . . . until a few online photos snowball into a media frenzy. Now Morgan is desperate to return to her own strange version of normal—when only her doctors, her divorced parents, and her best friend, Caro, knew the truth. But tragically Morgan’s newfound openness and Internet celebrity seem to push those closest to her further and further away. "Fortmeyer’s humor, sweetness and focus on sexual and medical consent are winning." 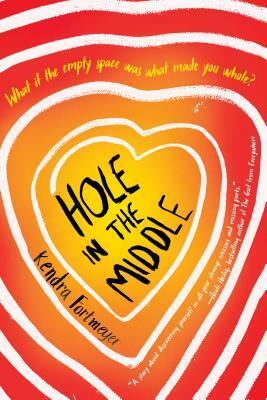 "An unabashedly feminist book [that] speaks directly to issues like body image and sexuality." "Incredibly different from most contemporary books that you see on bookstore shelves . . . Highly recommended, as the story is just too lovely to miss out on." "[A] powerful, witty, and funny tale, which integrates a sprinkle of magical realism into the mix." "An empowering, timely feminist read about bodily autonomy and one young woman's fight to keep control of hers." "Fortmeyer's debut is a delightful blend of magical realism, body positivity, and feminism that raises the issue of whether we can be complete in ourselves." "Intriguing and innovative . . . The magical realist element allows for a sharp but never preachy take on body image, romance and internet culture . . . With this debut, Fortmeyer establishes herself as a writer to watch." "I loved it . . . This is a book that teenagers actually need to read." "I was blown away by Kendra's writing from page one."